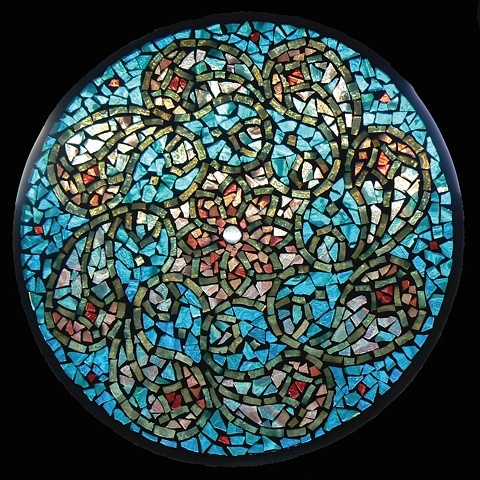 Created from hundreds of pieces of stained glass, this mosaic mandala is meant to be hung in a window or backlit in some other fashion. The image was taken with natural day light from behind. Private Collection - Thank you Dave.